The American Music Awards on Sunday saw Macklemore & Ryan Lewis enter the night leading with six nods and leaving with the awards for Favorite Artist (Rap/Hip-Hop) and Favorite Album (Rap/ Hip-Hop) for The Heist, and Taylor Swift take home the most trophies, including one for the evening’s top honor – Artist of the Year. In addition to winning Artist of the Year in the fan-voted event, Swift also took home the Favorite Female Artist (Country) and Favorite Album (Country) award for Red. "My lucky number is 13, and so far you guys have made 2013 the most magical year so far," she said, referencing her fans, in her acceptance speech.. "I'm 23 and I have no idea what's going to happen to me... I love you so much. It's unbelievable." Like the country pop starlet, Justin Timberlake also took home a trio of AMAs –Favorite Male (Pop/Rock), Favorite Male (Soul/R&B) and Favorite Album (Soul/R&B) for The 20/20 Experience. He also performed "Drink You Away" with the Tennessee Kids. Rihanna won for Favorite Female Artist (Soul/ R&B) and also picked up the first AMA Icon Award doled out at the annual event. Winner: Florida Georgia Line featuring Nelly - "Cruise"
Robin Thicke featuring Pharrell & T.I. - "Blurred Lines"
Macklemore & Ryan Lewis featuring Wanz - "Thrift Shop"
Paul McCartney is calling on Russian President Vladimir Putin to release Greenpeace activists whom Russian authorities detained in September. 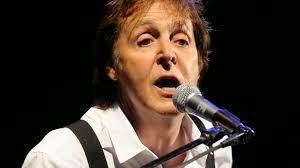 In a letter McCartney posted on his website, the singer assure Putin that Greenpeace is not anti-Russian and that the 28 activists arrested while staging a protest at a Russian oil-drilling platform in the Arctic Ocean were not working at the behest of western governments. "In my experience they tend to annoy every government! And they never take money from any government or corporation anywhere in the world," McCartney wrote in a letter that opens informally with, "Dear Vladimir." Russian authorities initially charged the protesters, and two journalists who were with them, with piracy and hooliganism, though the piracy charges have since been dropped. The 30 people arrested still face a maximum of seven years in prison on the hooliganism charge. Two days ago, the arrestees were transferred to prisons in St. Petersburg. McCartney's letter, dated October 14th, also underscores that the protesters "don't think they are above the law." He asks, "They say they are willing to answer for what they actually did, so could there be a way out of this, one that benefits everybody?" McCartney acknowledges that the presidency and Russian government are separate but asks Putin to consider weighing in on the matter. The former Beatle references the band's "Back in the U.S.S.R." in his letter. "That song had one of my favorite Beatles lines in it: 'Been away so long I hardly knew the place, gee it's good to be back home.' Could you make that come true for the Greenpeace prisoners?" Before signing off, he requests a meeting with Putin "when our schedules allow." George Strait beat out today's hottest young country music talents to take home the Entertainer of the Year trophy at the 47th annual Country Music Association awards, held last night in Nashville, Tennessee. It was clear that Strait, who's currently out on his Cowboy Rides Away farewell tour, didn't expect the honor. Taking the stage, Strait said, 'What? Never in a million years...thank you so much....this just blows me away. I just cannot believe it." This was Strait's third Entertainer of the Year award, but the last time he won was in 1990. Strait, who's the only artist in music history to have a top 10 hit every year for 30 years, loomed large throughout the telecast. He and Alan Jackson teamed up to pay tribute to the late George Jones by singing Jones' signature hit, "He Stopped Loving Her Today," and he was also part of the night's other major event: the Pinnacle Award presentation, which went to Taylor Swift. Along with Rascal Flatts, Keith Urban, Brad Paisley, Tim McGraw and Faith Hill, Strait was part of a group of artists who Swift had all opened for early on in her career, and they all took the stage to salute Swift's incredible achievements in bringing country music to a global audience. Video tributes from the likes of Mick Jagger, Julia Roberts, Reese Witherspoon and Justin Timberlake rounded out the segment. While Swift wasn't surprised by the Pinnacle Award, which had been pre-announced, she was clearly emotional while accepting it. "To the CMA...to whoever made this choice [to give this to me], you not only honor my hard work and exhaustion, but the hard work and exhaustion of my family and my label, and everyone who works with me," she declared. "But most of all, my fans, who have filled stadiums: I love you!" 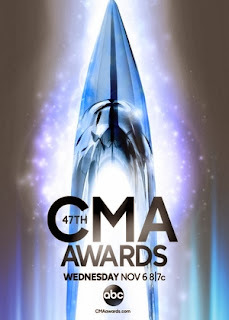 Wednesday night marked only the second time this award has even been given out; its first recipient, Garth Brooks, won in 2005. Swift also performed her song "Red" on the telecast acoustically, with some help from musicians like Vince Gill and Alison Krauss, and took home two awards which had also been pre-announced: Musical Event of the Year and Video of the Year for "Highway Don't Care," which she shared with McGraw and Urban. Album of the Year – Blake Shelton "Based on a True Story"